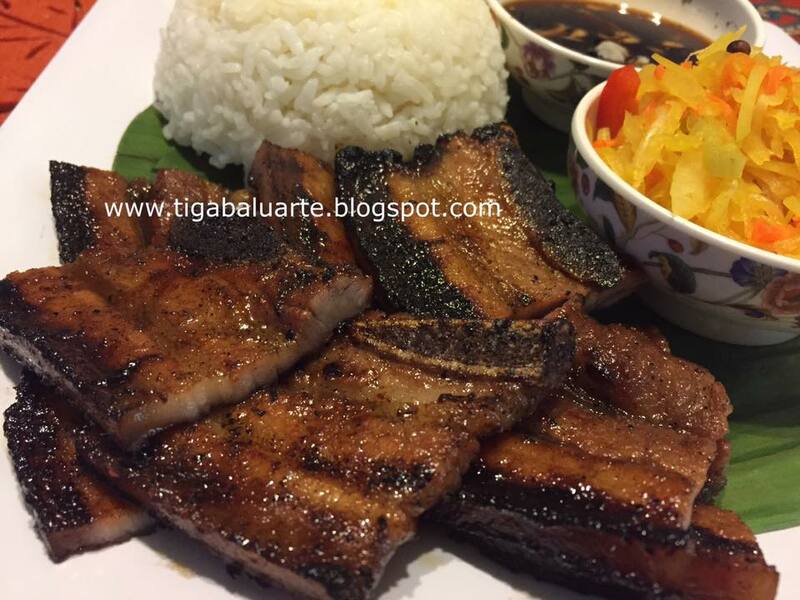 Inihaw na Liempo is pork belly marinated for at least few hours and grilled. See simple step by step instruction below. 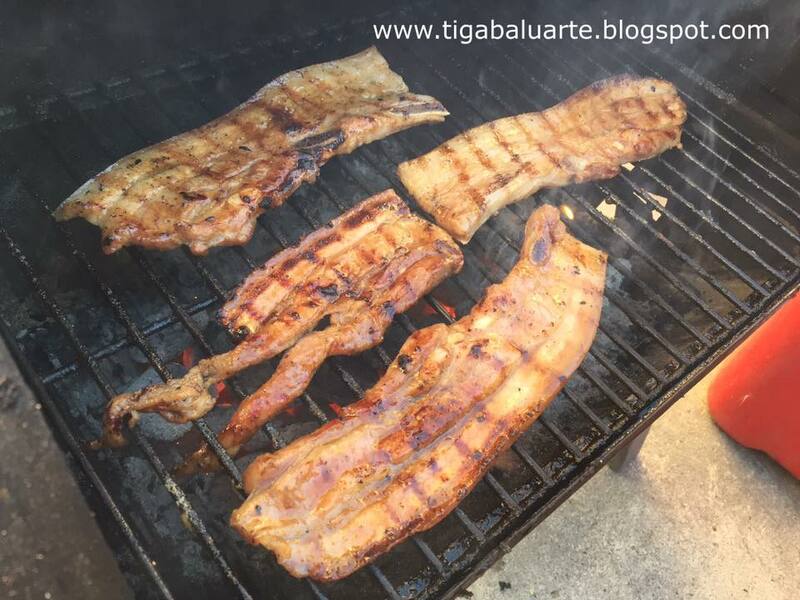 Combine pork belly with garlic, salt, ground pepper, brown sugar, ketchup, Mama Sita marinade or 7-up and mix well. 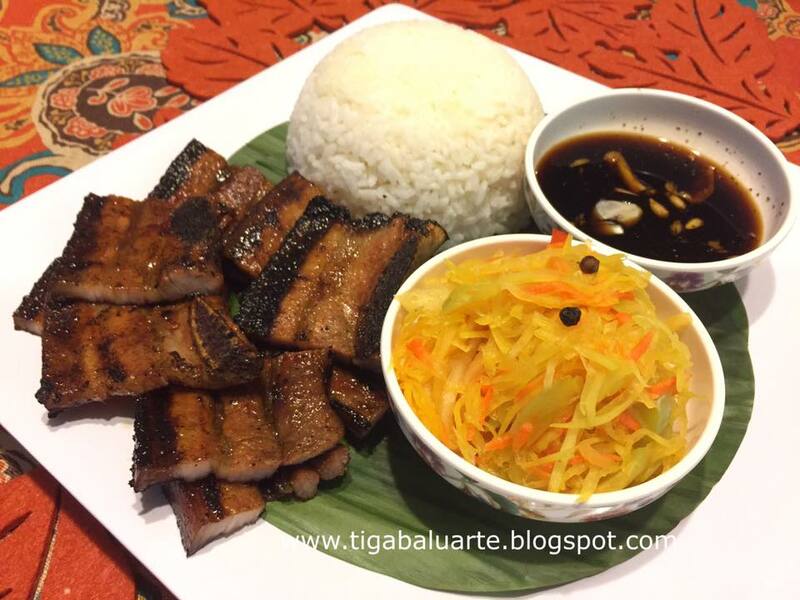 Marinade pork belly for at least 2-3 hours in the refrigerator. Grill over hot coals for about 3-5 minutes on each side.. Remove from grill and cut into serving pieces. For soy sauce and lemon dip, mix 1 clove of minced garlic, 1/4 cup lemon juice, 1/2 cup light soy sauce or Maggie seasoning and a dash of ground black pepper and serve. Best when served with soy sauce and lemon dip and achara.